Chrispin Robledo, 36, was arrested on charges involving assault and aggravated kidnapping. 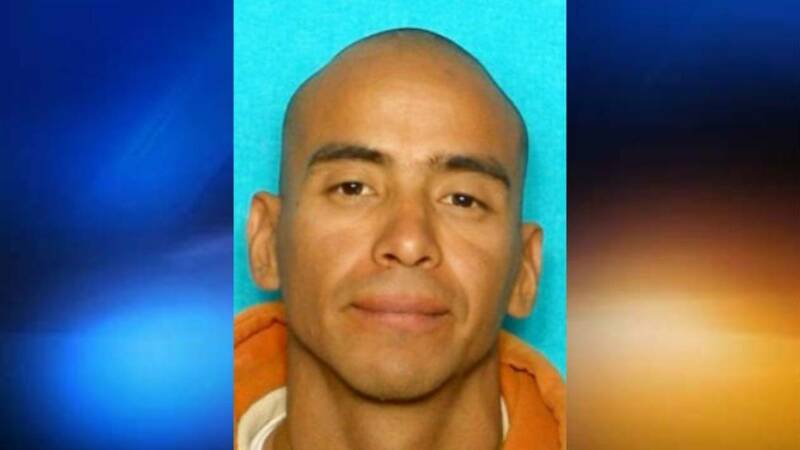 A 36-year-old man accused of an assault and kidnapping in Georgetown was arrested Wednesday afternoon in San Antonio. U.S. Marshals said arrest warrants were issued for Chrispin Robledo involving an investigation by the Georgetown Police Department on charges involving assault and aggravated kidnapping. On Saturday, Nov. 9, Robledo allegedly assaulted his 25-year-old girlfriend, Nicole Gallardo, while driving her vehicle from a convenience store in Georgetown, authorities said. Reports stated that Robledo struck Gallardo multiple times to her face and prevented her escape from the vehicle. Witnesses who observed the alleged assault called Georgetown police. Police said Robledo later released Gallardo and officers made contact with Gallardo when she returned to her home. The Lone Star Fugitive Task Force was contacted by Georgetown police Wednesday for help in finding and apprehending Robledo. Task force officers, through investigative efforts, determined that Robledo was working at a job site near Blue Wing Road, on the southside of San Antonio. Officers conducted a brief surveillance and saw Robledo working at the job site. Police said officers made contact with Robledo and took him into custody without incident. "I'm extremely proud of our task force officers for making this case a priority," said Robert R. Almonte, United States Marshal for the Western District of Texas. "Robledo was arrested only hours after the warrants were issued and task force officers made sure he would not go another day without justice being served." Robledo is currently being held in custody at the Bexar County Jail.